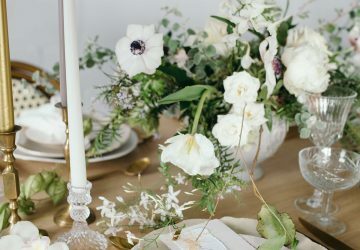 Did you notice us add a couple of new wedding decorations to the website including some lovely new table centrepieces and candle holders? 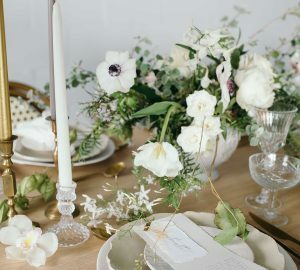 Scroll down to see our newest finds, now available to buy online. 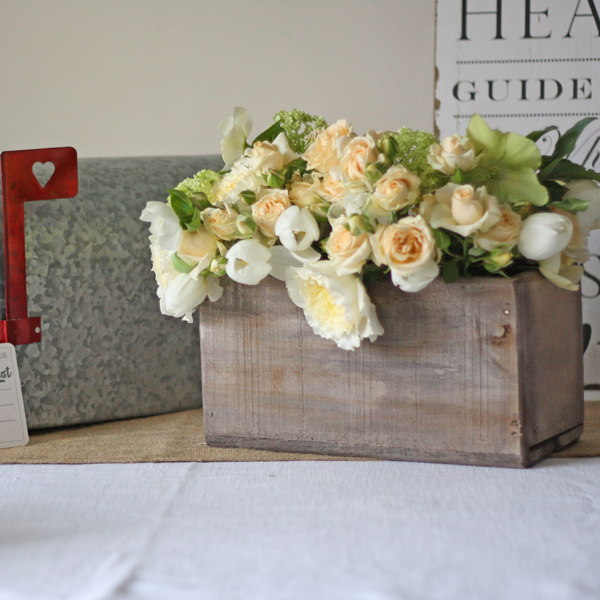 Lovely wooden box which can be filled with flowers, confetti cones or other bits and pieces at your wedding. 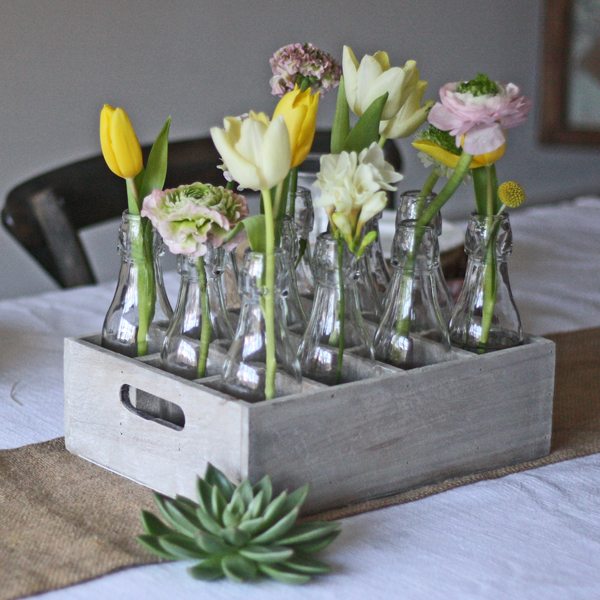 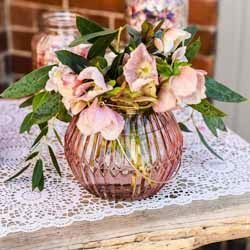 Perfect for a Spring or Summer wedding, these bottles sit in the crate and can have 1 or 2 flower stems placed in them for a simple to make wedding centrepiece. 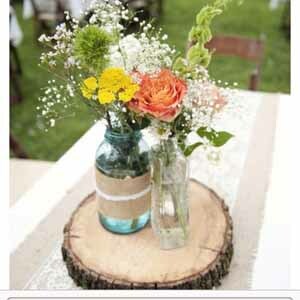 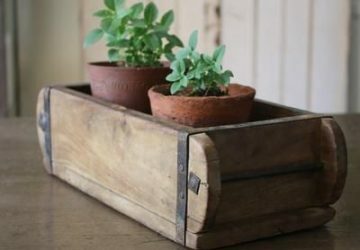 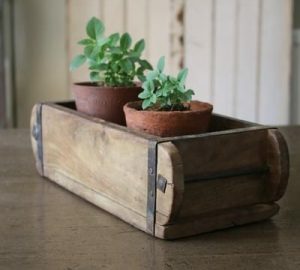 This wooden bark container is ideal for a rustic wedding, the shape makes it suitable for a long guest table. 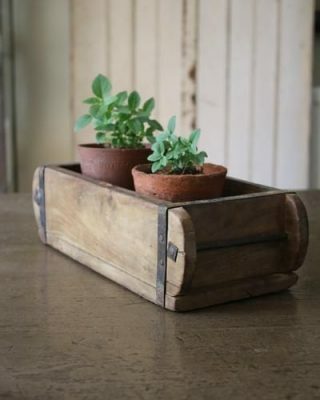 Place a number of these containers in a row to create a larger size arrangement. 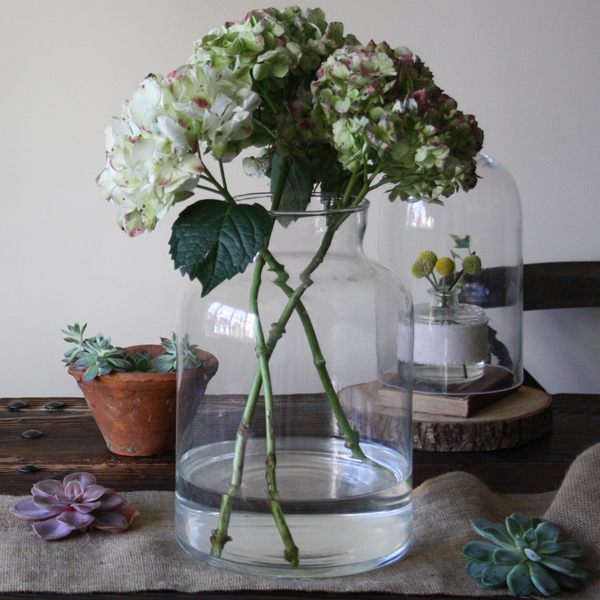 A lovely statement vase which looks stunning with minimal flowers. 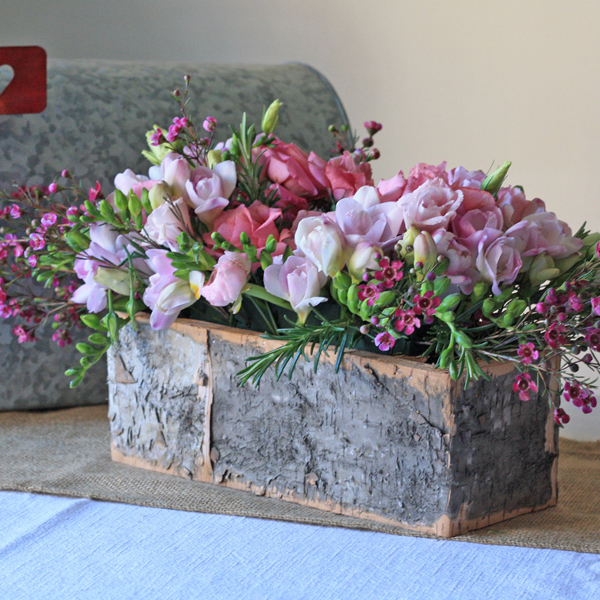 These urns are one of my favourites. 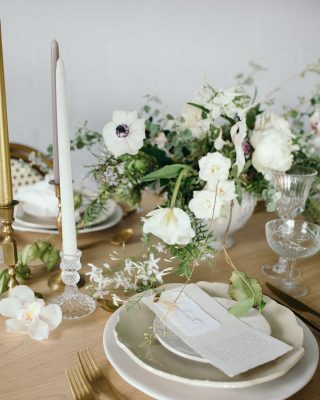 They look stunning in the centre of guest tables on a hessian table runner. 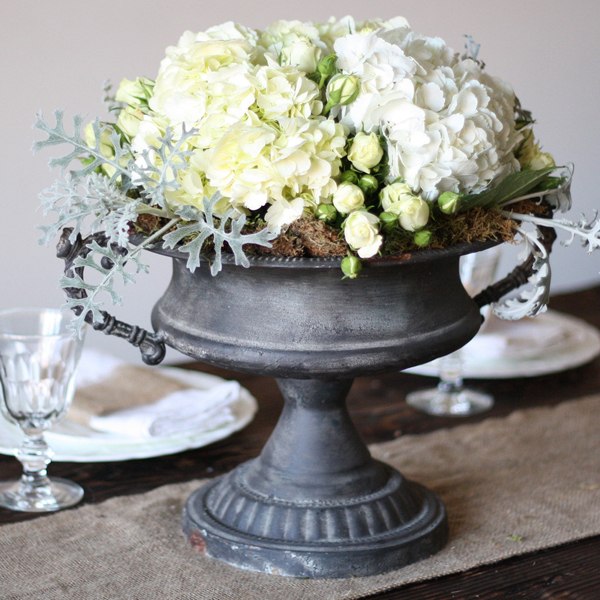 These smaller grey urns can be placed around the larger grey urn above for a real wow factor. 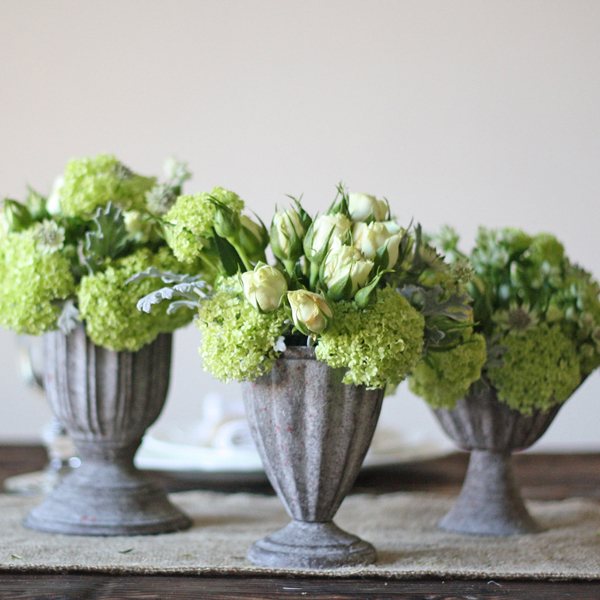 Or use a group of three of them in the centre of the table as a smaller scale centrepiece. 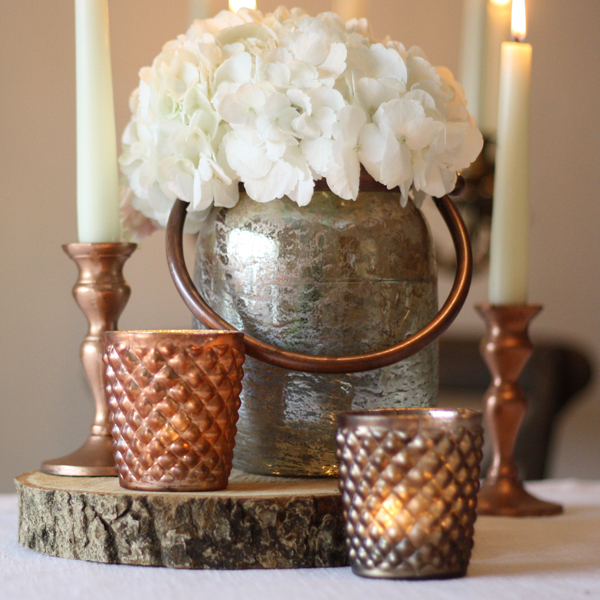 These bronze containers can be used as vases or lanterns. The have a metal handle too so they could be hung around your wedding venue. 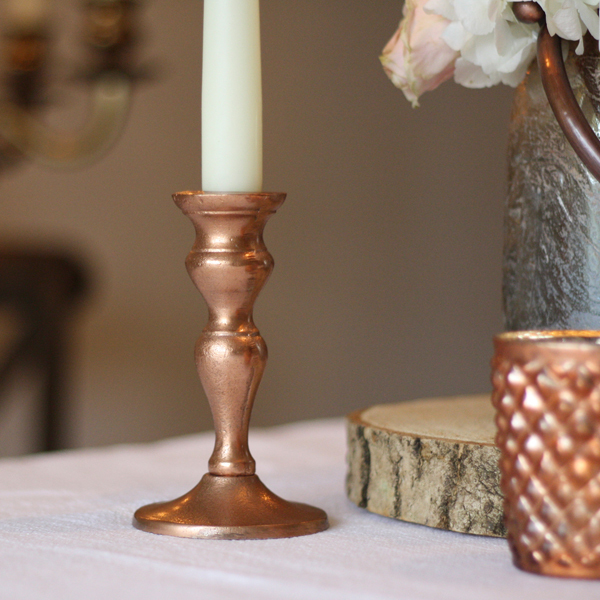 Add a metallic touch to your wedding decor with these copper candle sticks. 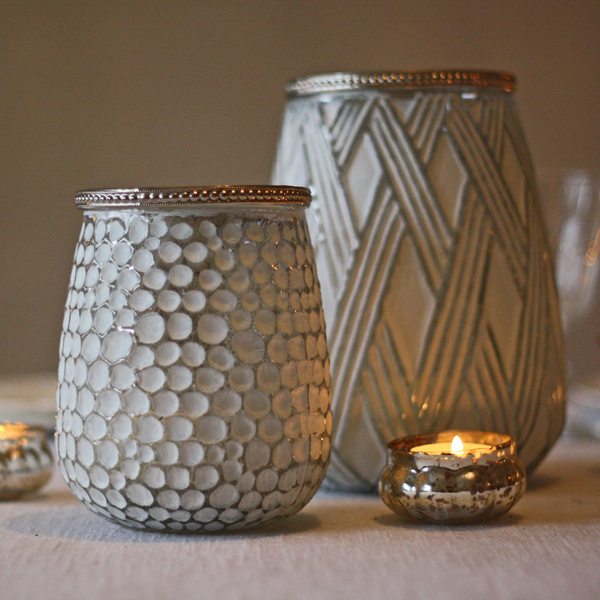 For a white and silver look these containers can be used as both lanterns or vases and look so pretty on wedding tables. 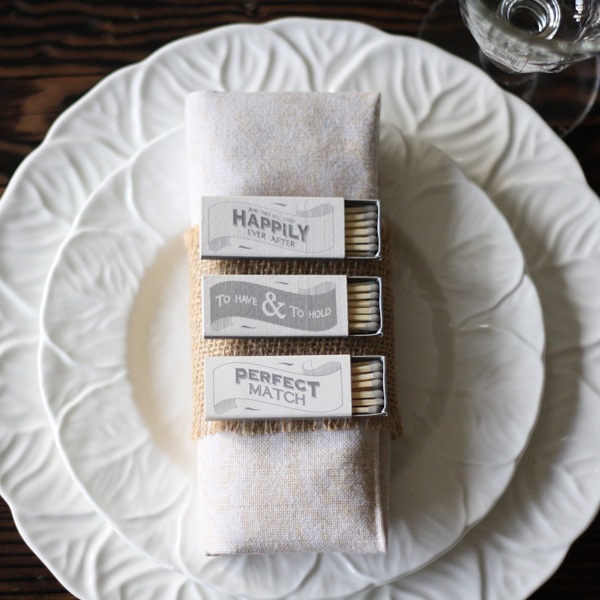 For a fun and practical wedding favour why not give guests a box of matches, we especially like the ‘Perfect Match’ design. 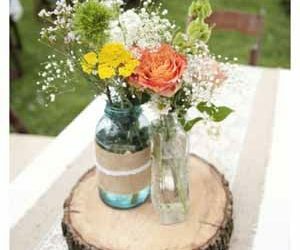 They will be reminded of your wedding each time they use them to light candles in their home.